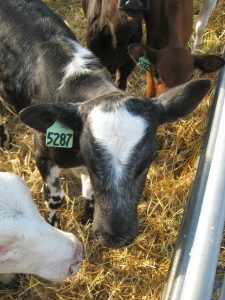 Dairy calves represent the future herd but rearing them to be top performers can sometimes be challenging. 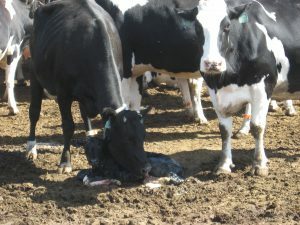 Our website provides a source of information to dairy farmers, veterinarians, advisors and calf caretakers knowledge and tips on current calf care topics to promote health. 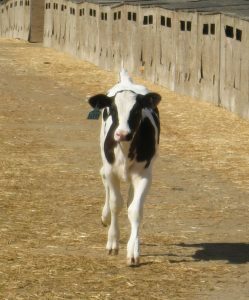 Our site provides traditional factsheets, video courses in English and Spanish, as well as links for science-based ways to approach calf care. Besser, T., Garmedia, A., McGuire, T., & Gay, C. 1985. Effect of Colostral Immunoglobulin G1 and Immunoglobulin M Concentrations on Immunoglobulin Absorption in Calves. Journal of Dairy Science., 68(8), 2033-2037. ACB Berge, TE Besser, DA Moore, WM Sischo. 2009. Evaluation of the effects of oral colostrum supplementation during the first fourteen days on the health and performance of preweaned calves. Journal of Dairy Science, 92(1), 286-295. D.M. Short, D.A. Moore, and W.M. Sischo. 2016. A Randomized Clinical Trial Evaluating the Effects of Oligosaccharides on Transfer of Passive Immunity in Neonatal Dairy Calves. J. Vet Intern Med 2016;30:1381-1389. Feeding Quality Non-salable (Waste) Milk to Dairy Calves. William M Sischo, Diana M Short, Mareen Geissler, Apichaya Bunyatratchata, and Daniela Barile. 2017. Comparative composition, diversity, and abundance of oligosaccharides in early lactation milk from commercial dairy and beef cows. doi: 10.3168/J. Dairy Science 100:1-10. H.K. Floren, W.M. Sischo, C. Crudo, and D.A. Moore. 2016. Use of a digital and an optical Brix refractometer to estimate total solids in milk replacer solutions for calves. J. Dairy Sci. 99:7517-7522. Click on the ‘Start Course’ link below to access the desired course. Housing and management characteristics of calf automated feeding systems in the Upper Midwest of the United States. Jorgensen MW, Janni K, Adams-Progar A, Chester-Jones H, Salfer JA, Endres MI. J Dairy Sci. 2017 Dec;100(12):9881-9891. doi: 10.3168/jds.2017-12792. Epub 2017 Oct 4. Moore, D.A., Olson, A., Adams-Progar, A., Berge, A.C.B., and Sischo, W.M. 2015. Do we really know how dairy treaters make decisions on which calf to treat? American Association of Bovine Practitioners 2015 Conference, New Orleans, LA. Mortality and health treatment rates of dairy calves in automated milk feeding systems in the Upper Midwest of the United States. Jorgensen MW, Adams-Progar A, de Passillé AM, Rushen J, Salfer JA, Endres MI. J Dairy Sci. 2017 Nov;100(11):9186-9193. doi: 10.3168/jds.2017-13198. Epub 2017 Sep 13. Factors associated with dairy calf health in automated feeding systems in the Upper Midwest United States. Jorgensen MW, Adams-Progar A, de Passillé AM, Rushen J, Godden SM, Chester-Jones H, Endres MI. J Dairy Sci. 2017 Jul;100(7):5675-5686. doi: 10.3168/jds.2016-12501. Epub 2017 Apr 27. Short communication: Predictors of time to dairy calf bucket training. Mandel C, Adams-Progar A, Sischo WM, Moore DA. J Dairy Sci. 2017 Dec;100(12):9769-9774. doi: 10.3168/jds.2017-13208. Epub 2017 Sep 21. 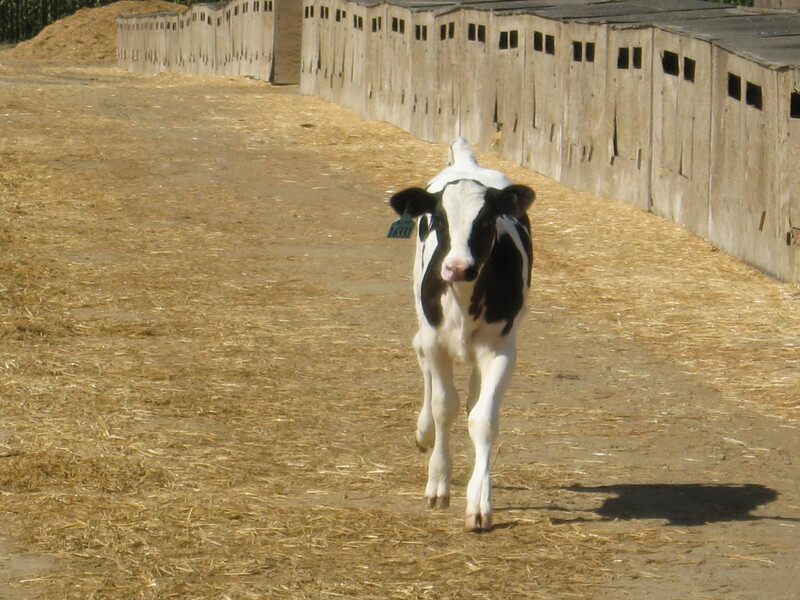 Effects of repeated transport on Holstein calf post-transport behavior and feed intake. Adams-Progar AL, Friend TH, Holub GA, Krenek AJ, Garey SM, Terrill CL. J Anim Sci. 2015 Feb;93(2):731-6. doi: 10.2527/jas.2014-7724. Tools for Evaluating Calf Rearing: The Calf Care Audit (Webinar Recording December 14, 2016) & PowerPoint slides with notes. Dairy Organizational Communication: Assessing the Structure. A guide on how to use the On-Farm Communication Evaluation Tool. By Drs. WM Sischo, C Crudo, and DA Moore. On-Farm Communication Evaluation Tool: Identifying Key Personnel and Educational Needs. Focus on Calf Health and Treatment Decisions.